The 26 star flag was the official flag of the United States of America for eight years beginning with the Statehood of Michigan in 1837 and up until 1845 with the admission of Florida into the union as our 27th state. 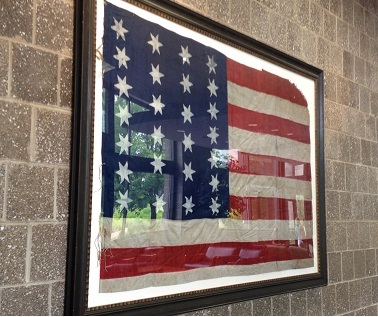 The flag hangs on a wall in Connelly Center. The full story appears on an adjacent plaque.